You are here: Home » Blog » Blog » Disney Attractions » What I am Most Excited for at the 2019 Epcot International Festival of the Arts! 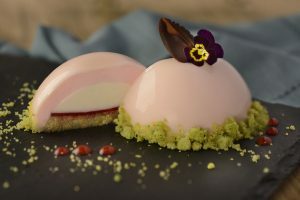 What I am Most Excited for at the 2019 Epcot International Festival of the Arts! The 2019 Epcot International Festival of the Arts is in full swing at Walt Disney World! This year the Festival runs from January 18 through February 25, 2019. This event is the only Epcot festival that I have yet to experience for myself. Well, that is about to change! In 2 weeks I am heading back to my favorite place… Disney World! We planned this trip specially with the intention of being in the park during the Festival Of the Arts! This festival is a celebration of art in all mediums! You will find everything from visual arts, to culinary arts and also performing arts! Art has always been a passion of mine, I love painting, cooking, theatre – just to name a few! I feel this festival was pretty much made for me! That is why I am thrilled to get to finally attend this event for my first year! In my excitement I made a list of the top 10 things that I am most looking forward to at the International Festival of the Arts! To hear why these are my top 10 things that I am most excited for, watch our new YouTube video! 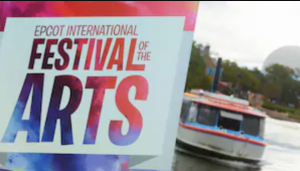 I will absolutely be taking tons of video footage from my experience at the Festival of the Arts so make sure you are subscribed to our YouTube channel to see more Festival content! I will also be posting live video clips and photo updates on Facebook, Instagram and Twitter so be sure to follow us on all our social media platforms! Are you ready to check this event out for yourself?! Contact your Kingdom Magic Vacations Travel Planner today! This entry was posted in Disney Attractions, Disney Dining, Disney Entertainment, Disney News, Disney Parks, Disney Special Events, Disney Vacation, Epcot, Walt Disney World, Walt Disney World Resort - Orlando and tagged 2019 epcot international festival of the arts, disney, disney parks, disney world, Epcot, Epcot International Festival of the Arts, festival of the arts, Walt Disney World on January 25, 2019 by Megan Przychodzien.